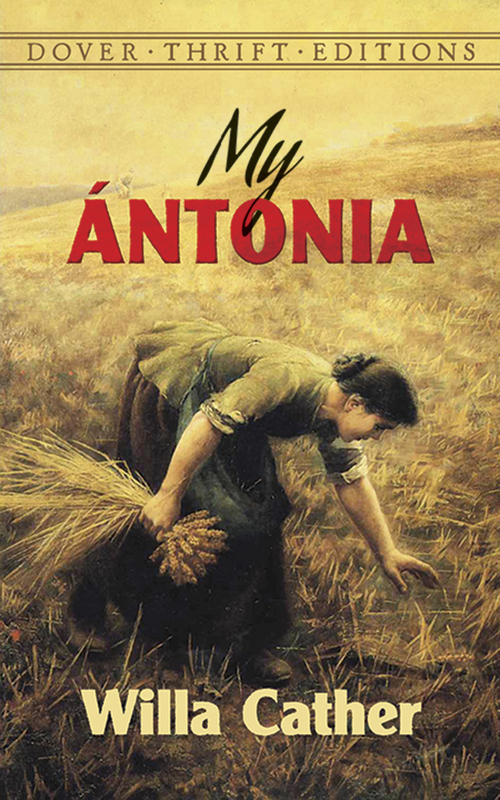 "My Antonia" evokes the Nebraska prairie life of Willa Cather's childhood, and commemorates the spirit and courage of immigrant pioneers in America. One of Cather's earliest novels, written in 1918, it is the story of Antonia Shimerda, who arrives on the Nebraska frontier as part of a family of Bohemian emigrants. Her story is told through the eyes of Jim Burden, a neighbor who will befriend Antonia, teach her English, and follow the remarkable story of her life. Working in the fields of waving grass and tall corn that dot the Great Plains, Antonia forges the durable spirit that will carry her through the challenges she faces when she moves to the city. But only when she returns to the prairie does she recover her strength and regain a sense of purpose in life. In the quiet, probing depth of Willa Cather's art, Antonia's story becomes a mobbing elegy to those whose persistence and strength helped build the American frontier.